Polynesia is one of the traditional divisions of Oceania, formed by nearly one thousand islands, located in the Centre and South of the Pacific Ocean. An imaginary triangle whose corners are Easter Island, New Zealand and Hawaii. On my way to North America, I chose to stop in Samoa and get to know one of the most pristine and authentic Polynesian culture. Polynesia is one of the traditional divisions of Oceania, formed by nearly one thousand islands, located in the Centre and South of the Pacific Ocean. An imaginary triangle whose corners are Easter Island, New Zealand and Hawaii, comprising the islands of Cook Islands, Tonga, Marquesas, among others. I was intrigued to know this corner of the world so on my way from New Zealand to North America, I chose to stop in Samoa and get to know, according to what I was told, one of the most pristine and authentic Polynesian culture. From the air, you could see a giant coral reef encircling the island, like protecting it and at the same time dividing the color of the water in an intense dark blue and a turquoise blue. About noon, with a scorching heat the plane landed at the international airport Feleolo. We were just a handful of tourists who looked like pygmies compared to the Samoans who filled most of the aircraft. Most of them were fat or giant with dark skin. As we landed we were treated to a flower necklace while a cheerful music band was heard on the background playing a rare melody to welcome us. I had not even left the airport and I was already delighted. I was in Samoa! By chance, as soon as I arrived to downtown, I met the hotel manager of Tanoa Tusitala, who upon learning of my project decided to sponsor me by providing accommodation during the first days of my stay. It was a rustic four-star hotel, and although I was dying to start to travel around the islands I felt sorry to leave. The islands of Samoa are volcanic and have an area of less than 3000 km ². Its two main islands are Upolu and Savai’i. The first one concentrates three-quarters of the population of the country, and there is where the most luxury hotels are located. The second one, despite being the largest, is home to just 50,000 people and is the least developed. It is believed that the first inhabitants of Samoa came from Fiji Islands about 3500 years ago and from there started to settle in the rest of Polynesia. These people remained in the islands under their old habits until the arrival of Westerners in the early seventeenth century. 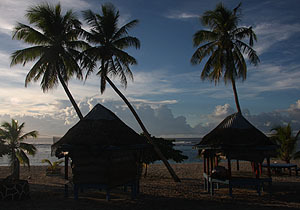 During the nineteenth century, the United Kingdom, Germany and the United States claimed parts of the kingdom of Samoa, and established trading posts. International rivalries were settled by the treaty of 1899 in which Germany and the U.S. divided the Samoan islands, while the United Kingdom renounced to its aspirations in exchange of the German protectorate in the Solomon Islands. Today the Independent State of Samoa is the former German Samoa. U.S. never gave in their unincorporated territory, now called American Samoa. The capital of Samoa is Apia, the largest city and port of the country with a population of about 40,000 inhabitants. Its architecture combines ancient colonial buildings and more modern houses with Western style, along with some traditional Samoan houses, called fale. After a few days on the island of Upolu, I went to the island of Savai’i which is known as the soul of Samoa. I stayed there most of my time. During my tour of this island I saw almost no foreigners or even a shabby restaurant. My plans to tour the island and camp were soon overshadowed when on the first night my portable stove broke down. Since then I had to stay in the traditional and not so cheap fales and try all kinds of Samoan delicacy consisting mostly of root vegetables, coconut products or fresh fruit. The most common meats are chicken, pork and, of course, fish. They fry mostly everything and cook with lots of coconut cream. At the end of my stay I was satisfied, felt stomach cramps and disgust for any Samoan dish. 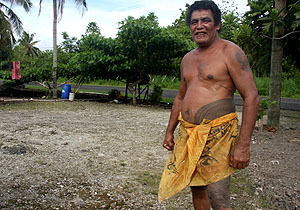 During my tour in Samoa I met Tuaa, the head of a large family and of the village where I stopped to rest. Tuaa had the Samoan tattoo, a perfect symmetrical design that extends from the knee to the navel. Despite his limited English, Tuaa managed to explain the meaning of that tradition. 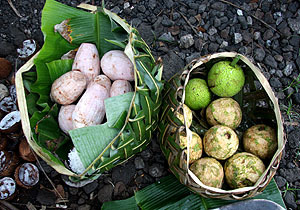 In Samoa the tattoo or Pe’a was part of the ritual ceremonies that marked the transition from adolescence to adulthood. Symbolic tattoo designs were used to express identity and personality. It indicated social rank in the hierarchy, sexual maturity and lineage. Tattooing requires an extremely painful process that involves long sessions of detailed work. Pain is an essential part in its creation and its duration can vary from one week to several months. Once the tattoo has been started, it needs to be completely finished; an incomplete task means a shame for the person and dishonor for his family. Tattooing in Samoa is considered a symbol of maturity, courage, social prestige and beauty. 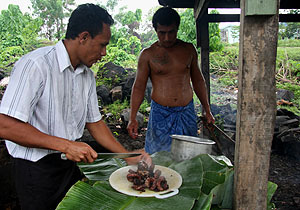 Other central aspects of Samoan culture are the family – large family groups, called aiga, are common with a patriarch called matai-, and religion. “Samoa is founded on God” is the motto of the country. As Tuaa explained to me, formerly they worshiped many deities and had an important mythology. According to tradition, the goddess of war Nafauna prophesied the coming of a new religion which would relegate the local gods, and then the good or bad power would come directly from another version of heaven. Then, due to the contact with the white man, missionaries began to arrive to Samoa, introduced Western philosophies and converted its inhabitants to Christianity. Almost a hundred years later, the Congregational Church in Samoa of the London Missionary Society, one of the first to arrive, became the first Independent Indigenous Church of the South Pacific. At present, there are in most towns three or four, and in some cases even more, churches of different denominations including Congregational, Methodist, Catholic, Mormon, Assemblies of God, Baptist or Seventh-day Adventists churches. 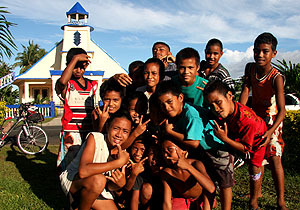 Attendance to church in Samoa is over 95% of the population. Sundays are a day like no other, hundreds of people walk to and from the church in their finery; women wear white long spotless robes and hats, and men wear shirts and ties. But the influence of the church is today, as it was a long time ago, overwhelming. The evangelizing imprint is manifested not only every Sunday but also in everyday life with communities centered around this institution. When the missionaries first arrived, payments with coconut oil were made in public to the churches. 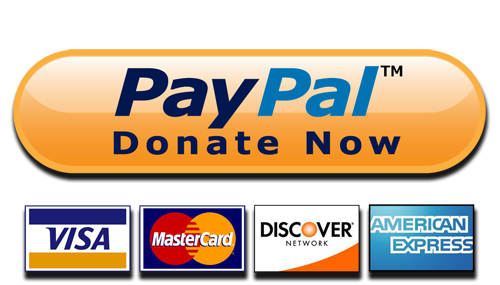 “Today it seems that the communities of Samoa compete to see who can give more” Matt told me, an Australian who has spent two years living on the islands, “and although donations now tend to be monetary in nature, this practice continues. As a result, churches are the largest buildings to be found in any town and the houses of the pastors are usually a fale provided with every comfort”. “Giving money to the pastor for his personal expenses and maintenance is a must. Many young people, apart from sharing their salary with their large family, have to give part to the church. If they don’t, severe reprisals are taken. The pastor holds a status equal to or even higher than the highest ranking matai. As if this was not enough, during the church service on Sundays, lists are read announcing who the parishioners are and how much money they have contributed to the church. Those who have not complied with their obligation do not escape the shame of public announcement”. After listening to Matt I was not surprised when during the last days of my stay I read the local news about the gift that the inhabitants of a small town had done to their pastor: a new and luxurious 4×4.